It’s picnic time. That means I’m having fun making cold salads with fresh herbs and veggies from the local farmers’ market (or with whatever I have leftover in the fridge). This week, it’s been all about Puy lentils (French green lentils) and here are three tried-and-tested recipes. 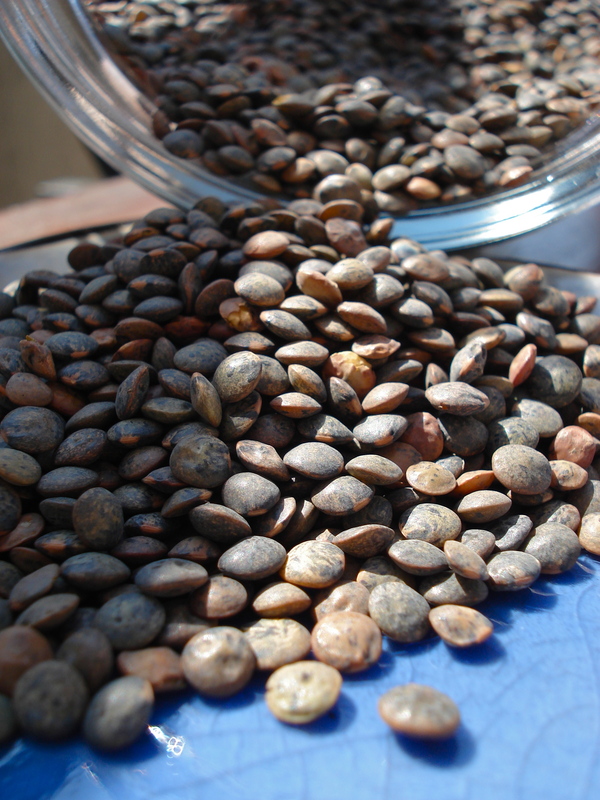 Why eat lentils? They’re fast and easy to cook (unlike beans, you don’t have to soak them over night). You can cook them up quickly in a pot of water, or even quicker in a pressure cooker (in France, pretty much everyone owns a ‘cocotte minute’ and I’ve gotten used to using one, too). Also, I consider lentils to be one of my go-to superfoods. They’re are a great source of folic acid, protein, and iron, for example. Plus, lentilles de Puy just plain taste good and easily combine with a variety of vegetables, herbs and spices. For each recipe below, first cook up the lentils and then combine with the other ingredients. ***Make your own herb infused vinegar by placing good-quality white wine vinegar and your favorite herbs (such as tarragon, basil…) in a sterilized glass jar and let sit for a couple weeks. You can also add such ingredients as garlic, organic citrus peels, sun-dried tomatoes, etc. Some people heat the vinegar first (but do not boil) and most people store in the fridge. This entry was posted in Recipes (All), Recipes (Gluten-free), Recipes (Vegan) and tagged salads, sides, vegetables. Bookmark the permalink.